Microsoft announced at 9:00 pm on their blog yesterday that Windows 10 was officially available, for free, in 190 countries across the world. The truth is, the company is rolling out the new OS as of July 28th – it doesn’t mean that everyone is going to have it today (or tomorrow). The truth is, with such a large-scale roll-out, end users may not see the download for a few days. Some are speculating that Microsoft’s latest release may break the internet (traffic records that is), so we’ll just have to play this one by ear. Many users who begrudgingly made the move to Windows 8 are anxiously awaiting the arrival of Windows 10 may just have to wait a few more days to install and fully enjoy Windows 10. For those able to get an active download in process, the widespread demand may drastically reduce the speed of which the download is processed. If you just have to have it, are waiting for something shiny and new, or can bear for a few days with your current operating system to upgrade, here are a few features of Windows 10 you should be able to enjoy – once the software downloads and installs sometime this week. Realizing that the Windows Phone has a marginal amount of market share against Android and iOS, Microsoft has released a Phone Companion app that is integrated into Windows 10. Users can simply launch the application on their Windows 10 computer and then tell the software what type of phone they have. Windows Phone users won’t have to do anything extra as Windows 10 will take care of sync. Android and iPhone users will have to follow the steps to download some additional apps on their phone. Once configured, the Phone Companion application allows users to access their content from any device, at any time. Users can start a Word Document or other Office file on their desktop or laptop, and then seamlessly continue working on it via their phone or tablet. This is a great option for businesses that have a BYOD policy in place, which will allow users to seamlessly sync their Microsoft Office files between their work computers and their personal device they have gotten approved to use for business purposes. Additionally, OneDrive allows users to automatically sync photos from their phone so that images are automatically available on their desktop. Small businesses can take advantage of the free upgrade, while larger entities will have to go through an enterprise deployment. Windows 10 offers a lot of improvements for corporate users with new features including built-in enterprise grade security. New security features will work to protect data, introduce new ways to secure devices besides just passwords, and create better control over which software can be run on what device. Additionally, Windows 10 has new management and deployment tools and it seamlessly integrates with Azure cloud, Microsoft’s cloud-computing service. 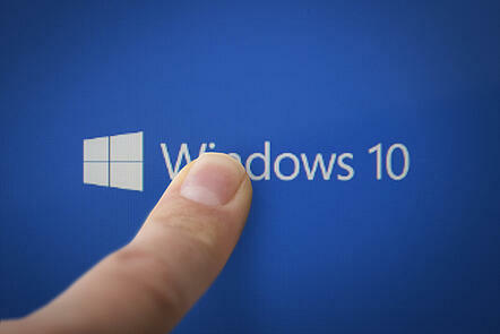 Users across the globe will all be able to enjoy Windows 10 new features over the course of the next few days!